Seniors who need some care have few housing options in Singapore except nursing homes, but a group hopes to push for alternative senior housing facilities. The group of four healthcare professionals and academics is in the process of registering an association to lobby for the provision of what are called assisted living facilities (ALFs). Such facilities allow seniors to retain their independence and autonomy by living in a homely environment and going about their own lives, compared with the institutionalised settings of nursing homes. The Assisted Living Facility Association plans to form guidelines for these places, serve as consultants to potential operators and offer accreditation services via audits. 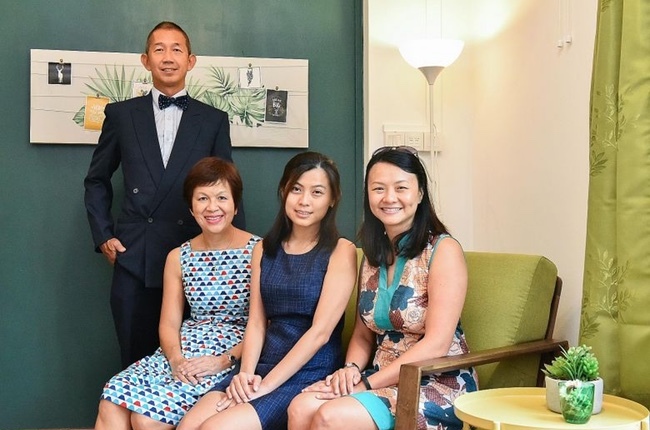 Dr Belinda Wee, director of the new association, said it also wants to raise public awareness of these facilities and answer questions such as which seniors suit these places and how to finance their stay. The hope, said Dr Wee, is that an ALF becomes a viable and desirable model of care for seniors, resulting in fewer of them being forced to live in nursing homes due to a lack of options. Earlier this year, the Ministry of Health (MOH) said it was looking to have pilot projects on assisted living facilities or services. Dr Wee, a locum doctor at HCA Hospice Care, said she had spoken about the association in March to MOH, which gave it the green light. Assisted living facilities are virtually non-existent here, though they are common in places such as Australia, Europe and the US. In 2013, there were 33 000 such facilities in the United States, housing more than a million elderly persons. A new integrated HDB development, Kampung Admiralty, which includes studio apartments for those aged 55 and above, offers some assisted living services such as home medical and nursing care within the residential blocks. By 2030, almost one in three people in Singapore is forecast to need eldercare service. One in four Singaporeans will be 65 and above then. But a 2016 survey, commissioned by the Lien Foundation and Khoo Chwee Neo Foundation, found that seniors have few housing options apart from nursing homes if they grow frail and do not have anyone to care for them at home. The survey also found that nearly 50 per cent of the 1,000 respondents were willing to live in assisted living facilities, and would fork out $1,386 to $1,745 a month to do so. "For several years, we have been talking about having better aged-care options," said Assistant Professor Tan Hwee Xian of Singapore Management University, a founding member of the ALF group. She has done research on using technology to enable ageing-in-place. "I think it is time we start to seriously consider ALFs and so an association is important at this point in time, as everyone can have differing perceptions and possibly misconceptions of an ALF," she added. Besides her and Dr Wee, other founding members of the association are Dr Wee's husband, Dr Joseph Lee, and Dr Koh Shuwen, deputy group chief technology officer and director of innovation transfer at National University Health System. Dr Koh said there are no guidelines or best practices here on how an ALF should function. "Using the current Private Hospital and Medical Clinic Act which covers nursing homes would be like using a sledgehammer to drive in a nail," said Dr Koh. Dr Mary Ann Tsao, chairman of Tsao Foundation, which runs several eldercare services, said having the association is a good idea. Demand for such housing will increase as more older people live separately from their grown children, but still need some care, she said, adding: "We are extremely behind the curve for ALFs, compared to elsewhere that have such housing and services for decades now." Ms Beatrice Davies, 88, former secretary-general of the Singapore Red Cross, has been living at St Bernadette for the past 11/2 years. The retired medical social worker has no family here as her husband has died and her three daughters live abroad. Every Tuesday, her friends take her out for lunch and on Fridays, a staff member from St Bernadette escorts Ms Davies, who has glaucoma in both eyes, to the Singapore Association Of The Visually Handicapped to do exercises and pick up tips on how to live with low vision. "I can carry on living independently here. I come in and go out as and when I want and I can get my own type of bread, jam and coffee," said Ms Davies, who added that she may move to the nursing home next door if her health declines. She said of St Bernadette: "There should be more of such options around."